IBM Operations Analytics helps turn terabytes of operational data into understandable, actionable insights for more effective and efficient problem resolution. With IBM’s solution for AI operations, you can detect early patterns of data that predict issues before they arise and proactively stop outages to better support the transformation in your business. Extract real-time insights from terabytes of operational data to quickly identify probable cause and context for faster problem resolution even in highly dynamic environments. Leverage advance machine learning to proactively detect behavioural changes and take corrective action, before critical services and users are impacted. Automatically analyses patterns of operational data to reduce noise, group tickets and automate complex tasks to avoid inefficiencies. 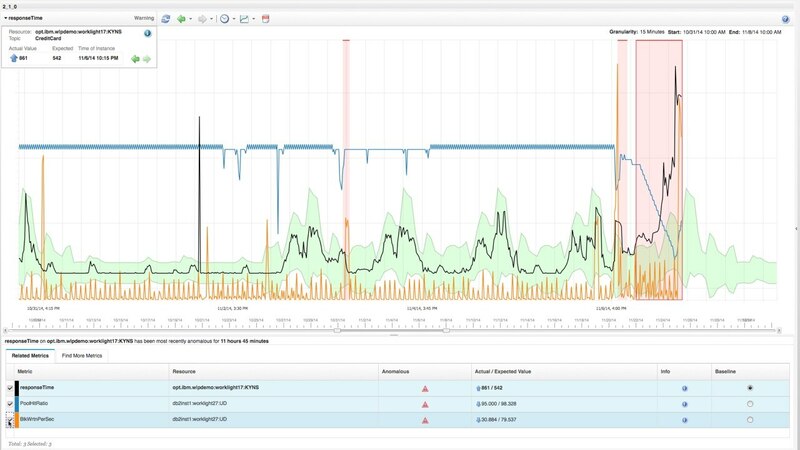 Increase IT operations efficiency up to 90 percent with advanced ticket analytics. Gain insights into hot spots and obtain decision support for triaging tickets.